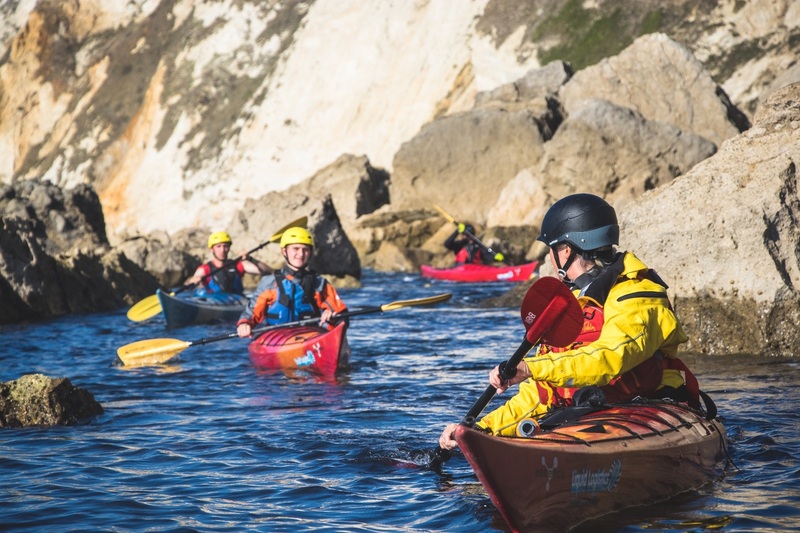 If you have been on a Sea Kayak 3 Hour Introduction Course and fancy some more coaching to improve your enjoyment of paddling on the sea, join us on our two day sea kayak coaching course. At the end of the two days you’ll be paddling confidently and learnt a variety of skills to try on the sea. Ideal for people with some experience (3 hour Introduction / Day trip Hampshire). If you’re happy capsizing and paddling a Kayak on flat water you’ll get a lot of value out of this course. We supply all paddling equipment you’ll need for 2 great days on the sea. The first day is based on the Beaulieu River or Solent going through skills required to handle the sea kayaks. The second day is usually based over in Dorset using the skills learnt from the first day in a increased sea kayak environment.